We recently carried out a Full Building Survey on a property in Pollards Hill, Streatham. Whilst surveying, it was hard not to notice the poor state in which the windows were in, showing just how neglected this property had been. It is clear that the windows have never been protected, allowing moisture to penetrate the woodwork and in turn cause rotting and decay. 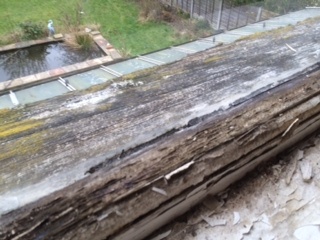 In this instance, the entire window frame will need to be replaced – a far more costly and laborious job than treating the windows on a more routinely basis!